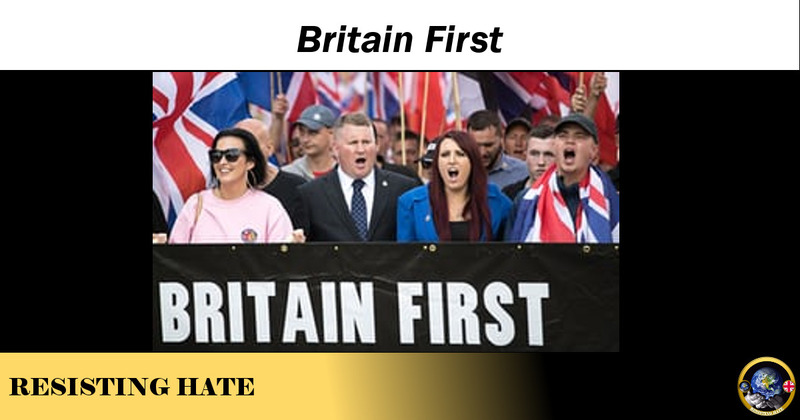 Britain First formed as a splinter group of the British National Party in 2011, by a man called Jim Dowson. The current leader of the New British Union used to be the organiser for the Scottish contingent of Britain First for a while so it is obvious the kind of person the party attracts. Clickbait and a large amount of funding on advertising has led to the numbers of “Likes” on Britain First surpassing the 1.5m mark. They celebrate this total, saying that this makes them the largest “political party” on Facebook. This is all well and good, but when you look at their photos and videos it is clear that the same 15-25 people turn out for every event which is not something that they seem to shout about as much. The days of action that the activists in Britain First go on have got them in hot water legally. Not only have they been cautioned by the police while out on the street more recently Jayda Fransen (Deputy Leader) and Paul Golding (Leader) have had to sign on at the weekends at a police station and have been given sanctions about where they are allowed to sleep overnight, what areas they are not allowed to go to (including every mosque in the country). Paul Golding was recently sent to prison for breaching the Court Order in place forbidding Britain First members from going into a mosque or inciting others to do so. He was locked up over Christmas 2016. Britain First are linked to a great many rather nasty groups. Their members are openly racist and come to them as from fascist groups like The NWI, EDL and NBU. They also have a fixation with overseas groups, not only Knight Templar International (headed by Dowson) which are based here but who go to places like Hungary to provide military equipment for anti Muslim paramilitary types. 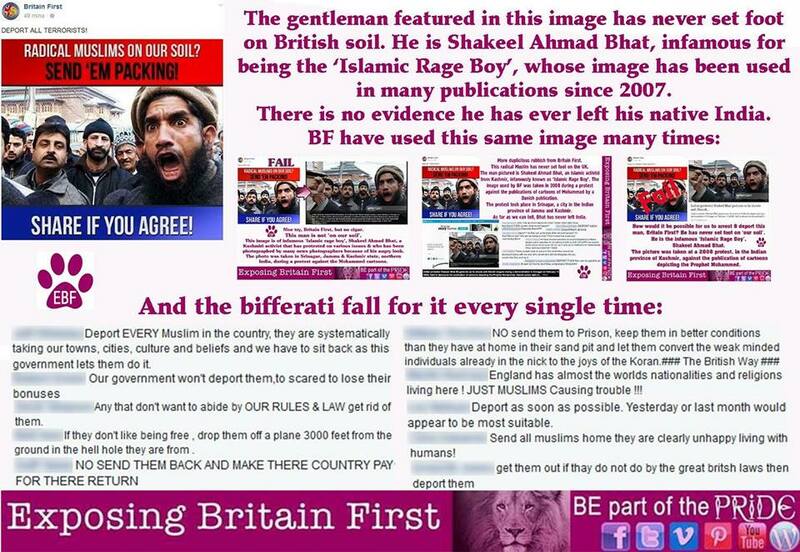 Take a look at Exposing Britain First and IRBF as they are set up specifically to fight against the nonsense that is on the Britain First page and website. This year both Paul Golding and Jayda Fransen have been sent to prison for their hate crimes. 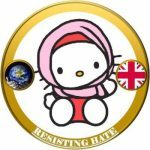 The Britain First Facebook page with over 2 million followers was suspended and both the main group and the two leaders had their Twitter accounts suspended too.